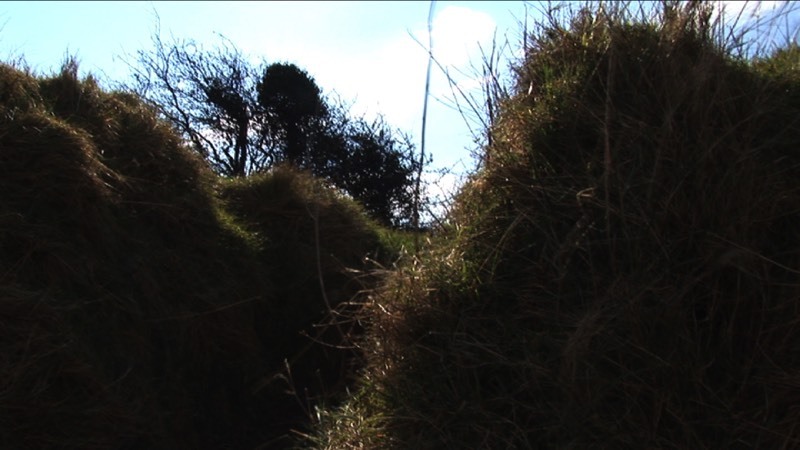 The Greenfort was an ancient site of strategic importance for the defence of Sligo. Perched above the town, it affords a clear view across the surrounding landscape, both North towards Ben Bulben, and South from Sligo Bay to Knocknarea. Following the Battle of the Boyne in Ireland in 1690, the armies spread west and following the fall of the Greenfort, defeated soldiers fled to France in what became known as the Flight of the Wild Geese. Now overgrown and a bit inaccessible, it retains an air of mystery. Commissioned by Joe Lee for Unravelling Developments, Sligo Borough Council. Up on the Greenfort is one of ten projects within Unravelling Developments, a series of public artworks commissioned by the Sligo Local Authorities and funded by the Department of Environment, Heritage and Local Government Per Cent for Art Scheme.